Day 14 of Doug Polk’s bankroll challenge put him on the right track mentally after the biggest downswing of the challenge in the previous session. After losing almost all of the profit made in the first 12 days of the challenge, we found Doug reflecting on the past day. Now that he was almost back at square one, he decided to move down in stakes and go back to his ‘everything-but-cash’ strategy. He got back on track and followed his own rules more strictly, not taking any shots. The day ended with the bankroll down to $131, but a refreshed and relaxed Doug seems like a good trade off for the small loss. Doug started the session with uncharacteristic seriousness but then proceeded to go back to his usual comedic self, just before entering into the action. He decided to start six tabling today, with four tables on the screen as usual and two other running in the background. Doug announced his WCOOP schedule; there will be at least three streams a day starting with September the fourth. He would add the occasional fourth day if the opportunity arises, as he expects it to happen in at least one week of september. The action started with multi-table tournaments and sit and goes with buy ins ranging from $1 to $2. A few minutes into the action, Doug noticed that bankroll challenges have now become a trend in Twitch Poker. While they used different names and goals, at least some seemed to be inspired by his own challenge. While he referred to them as ‘‘copycat bankroll challenges’’, Doug seemed flattered and pleased that his success has inspired others to the same. The expressed purpose of this challenge is to keep the poker dream alive, and it looks like it’s working! That’ll win a pot or two. Sadly, his two opponents folded to his raise, and he couldn’t get any value out of it. 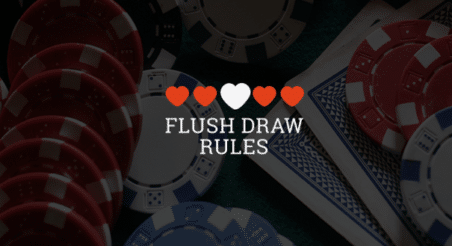 Still though, flopping a straight flush is pretty sick! Soon after his Ace king busted him out of a sit and go when it ran against pocket kings, he was dealt aces. But can he get value out of them with a field this tight? The first few hours of the Twitch stream was full of action hands such as the pictured boat vs bigger boat. You’d think it was PLO, with how many monster hands were being shown down. Doug missed a few and caught a few, with the Twitch chat loving every minute of it. Two hours into the Twitch stream, Doug was heads up in two $1 Sit and Goes and one $1 tournament, eventually taking down two of them. He finished second in the tournament against JohnBlaze after almost 30 minutes of battling each other for the chip lead. Doug would bust out of two tournaments in between the heads up battle, but by the third hour he cashed in three others. This pattern would continue with Doug cashing a few and busting out of a few. Four hours into the stream the Bankroll at this time stood at $107. By the sixth hour, he had added a freeroll to the Sit and Go rotation and was heads up in another $1 tournament that would break him even in the session if taken down. He was almost even against his opponent, ‘YEPOOR, so it wasn’t a walk in the park. He also had one last nine handed sit and go that just reached heads up to deal with. Doug, once again started to geek out playing heads up No limit, enjoying the match against YEPOOR, though wondering out loud if he is playing a real person. The discussion of whether or not YEPOOR is or not a bot went back and forward throughout the heads up match. After finishing in second place in the $1 SnG, seemingly off screen, the heads up match continued for almost an hour. The grind proved successful at the end as, bot or not, YEPOOR pulled the trigger with Queen Four suited against Doug’s King high and lost . Total profit was $3 with a about a $0.47 hourly. The bankroll now stood at $134.